Welcome back to the Expert Resurfacing blog. Now that summer is here, many of you will be starting home improvements. Whether you’re planning to list your home for sale, or simply want to upgrade the appliances, surfaces, and other aspects of your home, you have a lot of options. At Expert Resurfacing, we want to help homeowners in and around Chesapeake get their homes looking immaculate in the most cost-effective way possible. Today, let’s look at four ways you can increase the value of your Chesapeake home with home improvement tips from the pros. Give us a call if you would like to receive a quote for countertop resurfacing, shower resurfacing, bathtub refinishing, and so much more! If your kitchen still has appliances from the 1970s, it’s time to upgrade these outdated features. For one, if your older appliances don’t function as well as they once did, you’ll be happier with appliances that work. Plus, older appliances are not as attractive as newer appliances. Upgrading kitchen appliances can give your kitchen a modern look while giving you cost and energy efficient appliances that function better than older ones. 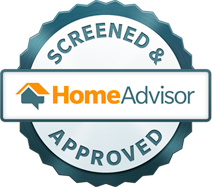 This is especially important if you’re looking to sell your home. Most home buyers prefer newer, more efficient appliances when compared to older, outdated appliances. When you think about it, we humans spend a lot of time in our bathrooms. Outdated vanity styles can make a bathroom look and feel lifeless. Plus, hard water stains in a vanity sink can make a bathroom look unkempt. Vanity resurfacing is an excellent way to revamp your bathroom with a modern look that is comfortable and classy. What’s more, vanity resurfacing can be done at a fraction of the cost it would take to completely replace a vanity. You can choose from hundreds of colors, styles, textures, and designs that can transform your bathroom in as a little as a day! Not only will it be a more comfortable space for you, an upgraded bathroom is highly enticing to home buyers, too. If your home that was built in the 1980s still has the original plumbing features, you should consider upgrading these. For one, they will look a lot more stylish and modern, and two, newer plumbing features tend to be constructed better, making them much more efficient than plumbing features that are more than 20 years old. Plus, you don’t have to spend a ton of money on plumbing upgrades, and you can install them gradually to completely upgrade all the plumbing features in your home. Probably one of the best ways to increase the value of your home is with countertop resurfacing. Countertops typically take up a lot of space in bathrooms and kitchens, making them one of the first things people see when they enter a room. If your countertops feature outdated styles, colors, or are a mess from years of wear and tear, you should consider upgrading them. Resurfacing, rather than replacing countertops, is an affordable option for most budgets, and will completely transform your bathroom and/or kitchen. 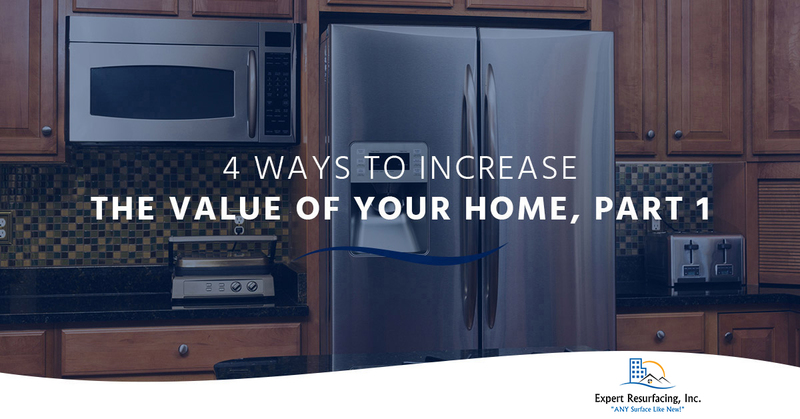 These are just some of the ways you can increase the value of your home, so join us for part two where we’ll look at even more tips. Ready to upgrade the surfaces in your home? Call Expert Resurfacing today for a vanity resurfacing or countertop resurfacing in Chesapeake!